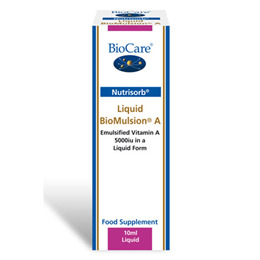 Nutrisorb BioMulsion A is a potent liquid vitamin A supplement that is emulsified for maximum absorption and superior bioavailability. It provides 5000iu per daily intake in a pleasant lemon flavoured liquid. Purified Water, Fructose, Acacia Gum, Vitamin A (as Retinyl Palmitate with DL-Alpha Tocopherol), Natural Lemon Oil, Preservatives (Citric Acid & Potassium Sorbate). This product contains vitamin A. Do not take if pregnant or planning pregnancy except on the advice of a doctor or clinic. 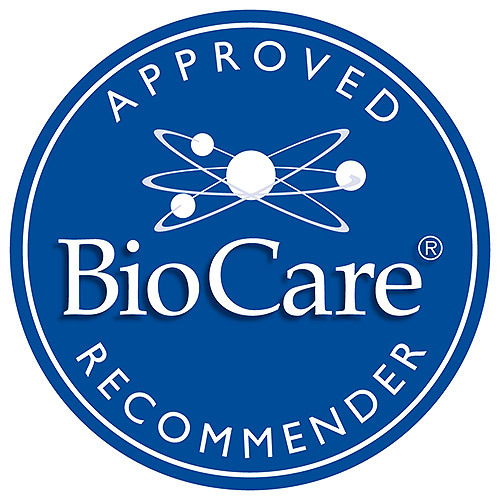 Below are reviews of Liquid BioMulsion A - Emulsified 5000iu Vitamin A - 10ml by bodykind customers. If you have tried this product we'd love to hear what you think so please leave a review. I bought this product for my cocker spaniel. The available veterinary products for his condition resulted in him vomiting, as did the human equivalents until we found this product. He has been using this for several months now with no side effects, and his skin is the best it has ever been in his 11 years of life. Nutrisorb BioMulsion A is a potent liquid vitamin A supplement that is emulsified for maximum absorption and superior bioavailability. It provides 5000iu per daily intake in a pleasant lemon flavoured liquid..